The flight from New York to South Africa was 18 hours. Then another 4 to Madagascar. 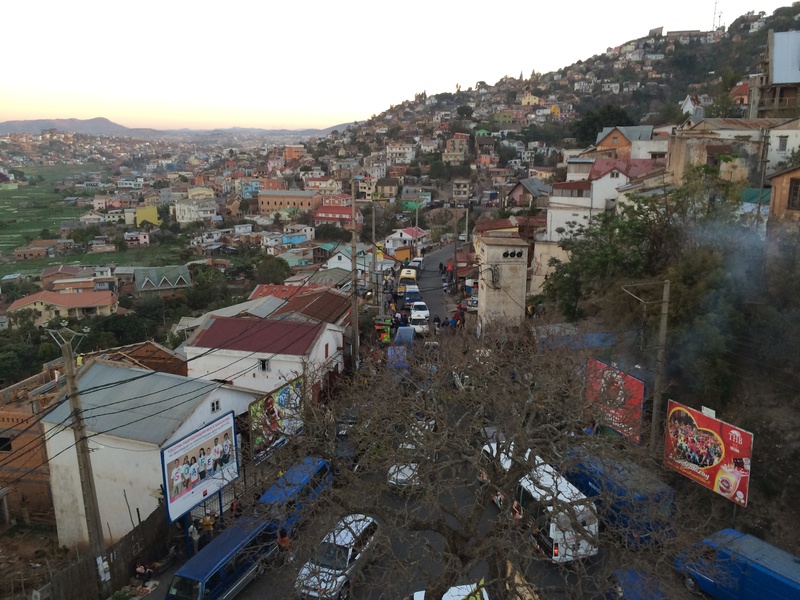 We took a bus to a hotel in the capital city of Antananarivo. We are in the Saint Laurent hotel here. We’ll stay a few nights here before going camping for 4 days, then we’ll make our way to Centre ValBio for the remainder of the trip. Here is a view from the roof of the hotel. Wow looks cool can’t wait to see more pics!